Impact Story: Hearing His Voice View this message on our website. Perhaps the greatest earthly picture of unconditional love is a parent’s love for a child. You love your kids unconditionally, right? But some human relationships have taught us about conditional love and left us broken and wounded. This experience can color our relationship with our Heavenly Father. God’s love, however, is not like any other. Tommy Spaulding's humble upbringing, and his struggles with severe dyslexia always left him feeling like he was not "good enough." Now calling these struggles "the greatest thing that happened to him," Tommy shares in this podcast how a teacher helped him discover his gift of entrepreneurship, and how after chasing money, success, and position, he finally quit his well-paid IBM job and resolved to pursue his passion. Yes, we all have our selfless, God-centered moments. Putting God’s will for us first and foremost – ahead of our own wants, needs and willfulness – in every moment, in every decision, is just too much to expect of ourselves. Fortunately, we have the power and love of Jesus to help us in our pursuit. 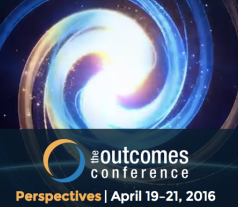 Lead Like Jesus looks forward to inspiring and equipping others to lead more effectively as featured guests and participants of the The Outcomes Conference: CLA Dallas, April 16-21, 2016. 12 Leadership and Character Development Lessons for Millennials! For multiple access codes, pick one of our group packages for 10, 20 or 40 participants. For individual participants, Click Here. * Facilitator Certification Training is available in conjunction with these Encounter events. For further information, view the Online Calendar or email Rich Meiss.